Hi everyone! 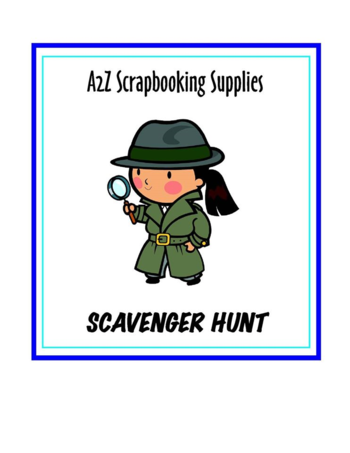 I just wanted to let you know we have a fun game going on over at a2z Scrapbooking this weekend. It's a Scavenger Hunt. and there is a $25 gift certificate up for grabs if you play. We hope you join us. It proves to be a lot of fun!